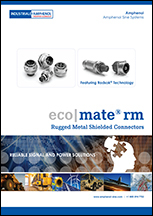 Our ecomate® RM Rugged Metal Connectors are multi-way connectors available in 8 shell sizes and 25 insert arrangements with a variety of wire gauge options. 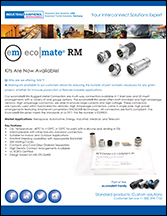 The ecomate® RM series offers both standard and high amperage versions. High amperage connectors are able to endure large currents and high voltage. These connectors are typically used within hybrid electric vehicles. 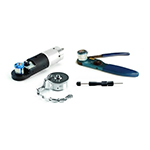 High Amperage connectors come in single pole, high power arrangements featuring Amphenol's proprietary RADSOK® technology. 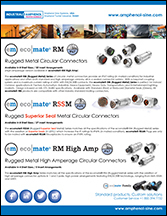 Ecomate® RM industrial grade circular connectors are manufactured to be intermateable with other industry standard connectors. Reliable, waterproof, corrosive resistant and economical. 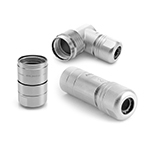 ecomate® RM Connectors are ideal for aerospace, automotive, energy, industrial, medical, and telecom applications. 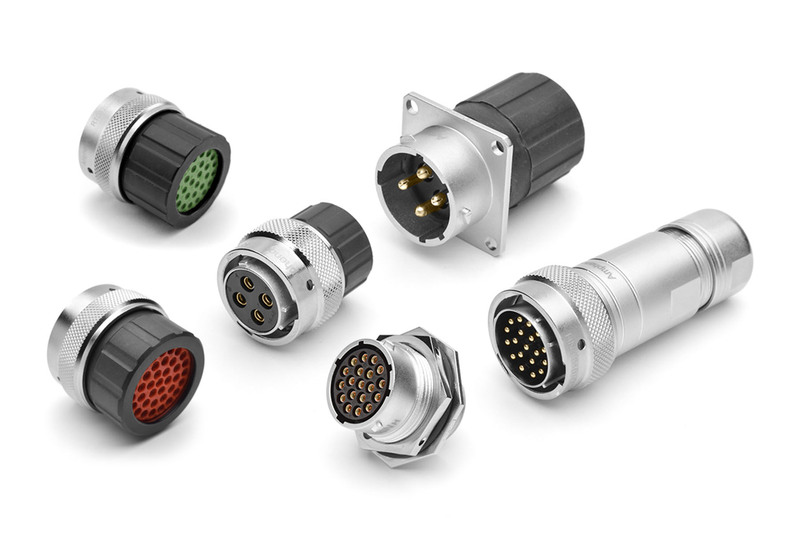 All connectors are RoHS compliant. 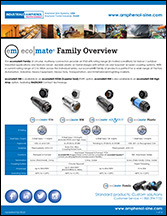 The Ecomate® RM series meets the standards of UL1977. The file number is E339831. Design based on MIL-DTL-26482.